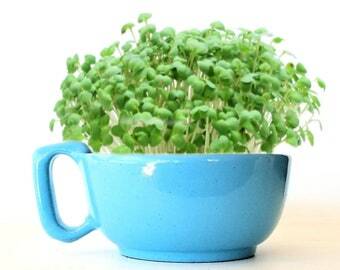 A great way to jump-start an indoor garden of fresh, healthy microgreens! 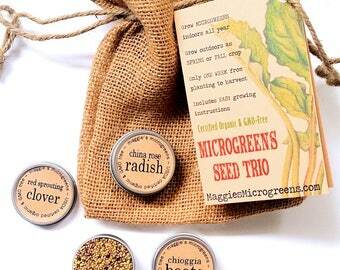 This is a set of 6 types of of my certified organic microgreens seeds - you choose any 6 for a custom kit! - in 6 small airtight tins within a larger hinged-lid tin windowed gift box, along with super-easy, detailed growing instructions. 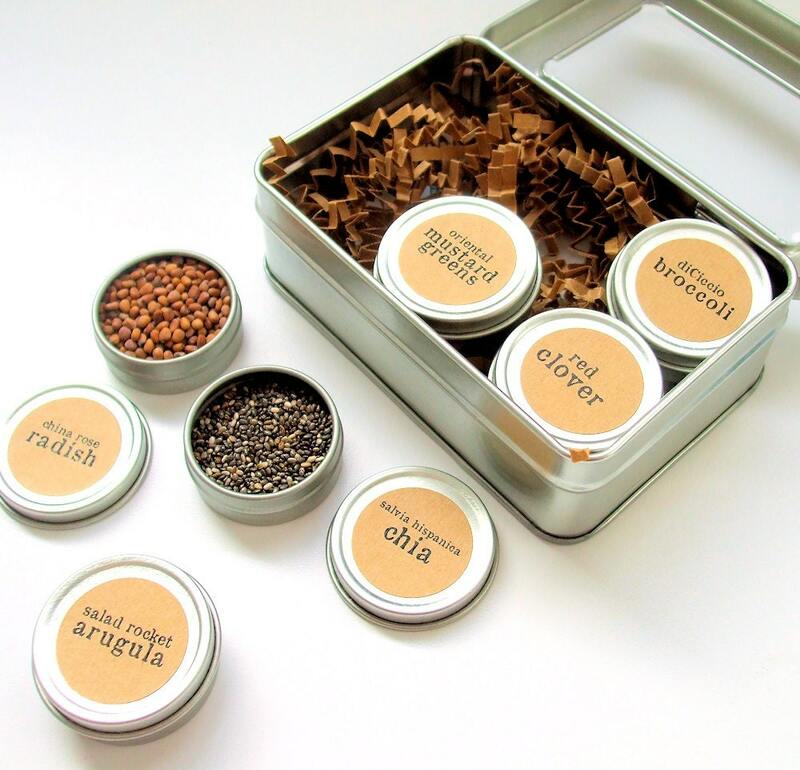 Climate permitting, you may also grow these microgreens outdoors, where each tin will seed an area at least 6 inches x 6 inches.